Great tent for light duty winter camping, held up to 25-30 mile hour winds, definitely warmer than a 3-season tent, minimal condensation, is a little confining but I did manage to keep all my gear inside by using my backpack as a pillow, can't beat it for the price. Ease of Setup: Fairly simple. Poles are color-coded according to which sleeve they belong in. Flyboy system makes attaching the fly simple, once you figure it out. If it's your first time setting it up, make sure to read the manual. This is a very good tent for solo camping in windy and cold environments. With some MSR Groundhog stakes, this tent easily withstood 40 mph winds. The Quartz 1 is designed primarily for light-snow conditions, and as such, is not as durable as many other expedition-grade 4-season tents. 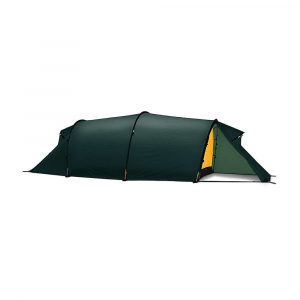 This tent is one hell of a bargain when you take the price into consideration. Weighing in at around 7lbs with the bag, footprint, tent, fly, poles, and 7 MSR Groundhog stakes, the tent is a bit heavier than I would have liked, but when you take its durability into consideration, this tent is a beast, especially when compared to many 3-season ultralight tents. 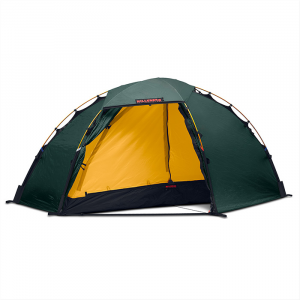 I bought mine because I frequently camp in cold, snowy, and stormy conditions, and this tent has the added bonus of having enough space underneath the vestibule for all my gear. 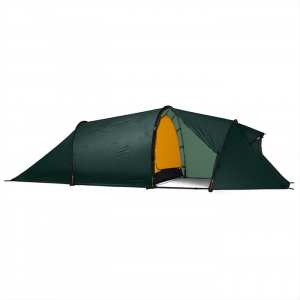 Also, the rain fly is completely independent of the tent (not built-in), which nearly eliminates condensation on the walls of the tent itself, unless you zip all the vents shut. 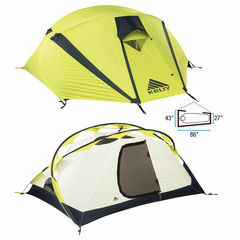 My only qualms with the tent is that the interior is a little small, and so I would have to recommend that anyone who is thinking about buying this tent ought to go for the Quartz 2 instead, as it has extra room for an additional person at the cost of a few more dollars and a tiny bit more weight. 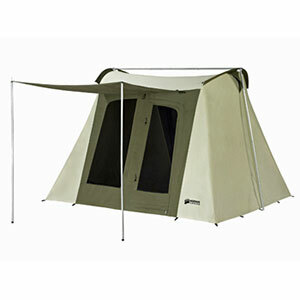 In summary: For light winter camping or camping in unpredictable weather, this tent is a must. The Quartz 1 has been discontinued. 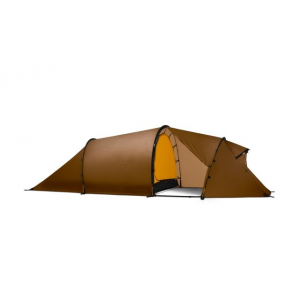 The Kelty Quartz 1 is not available from the stores we monitor. It was last seen June 27, 2009	at Altrec Outdoors.